The legendary King of Motown, Smokey Robinson performing live at the 25th anniversary celebration of the Rock and Roll Hall of Fame with another Motown legend, Mr. Stevie Wonder . This is a great performance of the two mega-mega-mega music stars performing "Tracks of My Tears " by Smokey Robinson & The Miracles . 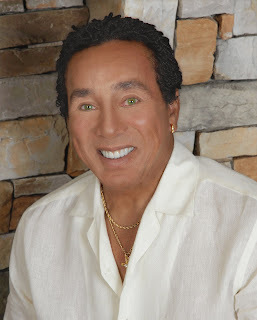 *Side Note* While Smokey Robinson is a member of the Rock Hall of Fame his bandmates: Marv Tarplin, Claudette Rogers-Robinson, Bobby Rogers, Ronald White, and Pete Moore was not inducted. Which really is a shame! It's amazing how well Smokey's voice is. He really took good care of his instrument. This man is 70 and Stevie is no spring chicken either at 60! PUT THE MIRACLES in THE ROCK AND ROLL HALL OF FAME!! THEY DESRERVE IT. It is definitely NOT simply "all about Smokey". ALL of THE MIRACLES recorded the tunes. ALL of them co-wrote the tunes (NOT just him.) ALL of them toured and performed the tunes...and ALL OF THEM shared in producing them. So WHY IS ONLY SMOKEY INDUCTED ? ?